This post is sponsored by my good friends at Hurst’s Hambeens ®. Since I’m using a pre-mixed bag of Hurst’s Cajun 15 Bean Soup Mix, there is some cayenne pepper in the mix. 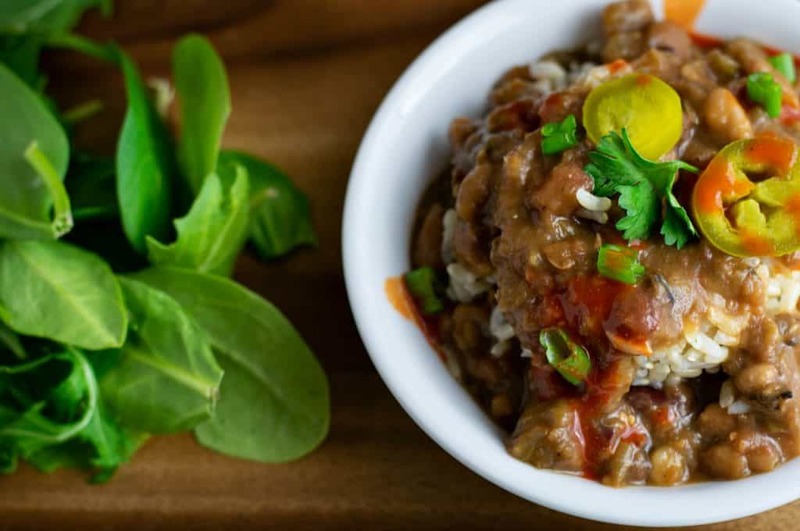 Cayenne pepper and a good shot of hot sauce is what made this dish so popular, and as it happens it was one of Louis Armstrong’s favorite dishes. But you can omit the hot sauce and always add more rice to tone it down if it’s too much spice for you. I personally do not think it’s hot at all, but my anything-remotely-spicy-hating wife said she could taste it and just added a dollop of my Vegan Sour Cream which made it better for her. We’re going to start by prepping our vegetables. You’ll want to finely chop 1 onion, 1 green bell pepper, and about 3 ribs of celery. And I do mean chop finely. These will basically dissolve into the soup adding a ton of flavor. Add these to your Instant Pot with a few tablespoons of either veg broth or water and then set your IP to SAUTE. I use the lowest heat setting if yours allows you to control that. When the veggies have softened, stir in 3-4 cloves of minced garlic and stir for about 15-20 seconds and then stop the saute process by pressing the KEEP WARM/CANCEL button. Note: The following contains an affiliate link which if used will pay me a small commission. 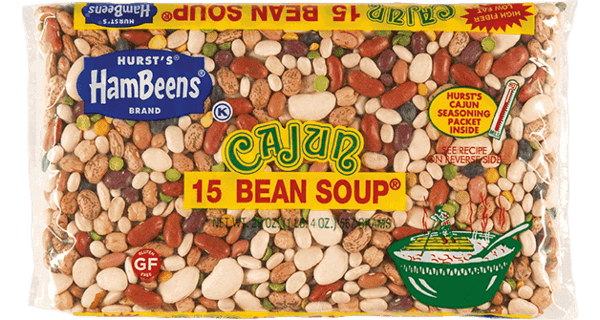 I used a 20oz bag of Hurst’s Cajun 15 Bean Soup mix and removed the spice packet before dumping the dried beans into a colander for a good rinse. Now is a good time to remove any weird looking misshapen beans you may find. Then we simply add the beans to our IP along with 4 cups (1 qt carton) of Low Sodium Veg Broth and 3 cups of water. Toss in a couple of bay leaves, some smoked paprika, and the contents of the seasoning packet. Give it a good stir and attach the lid. For the first round of cooking, we’re going to press MANUAL and cook for 30 minutes. When it’s done go ahead and use a wooden spoon or something to carefully release all the pressure in your IP. Then carefully remove the lid. Now add 1 lb of chopped portobello mushrooms and 1/2 tsp of dried Thyme, and give it a good stir. Make a well in the center of the soup and add a 10 oz can of Rotel Tomatoes with Green Chiles (can sub diced tomatoes if you don’t like spice) but this time do NOT stir (tomatoes can sometimes scorch in your IP if they touch the sides or bottom). Reattach the lid and now we’re going to cook the beans for an additional 15 minutes on MANUAL. This time let the pressure release naturally when they are done cooking – this will take about 45 minutes. You can add any additional seasoning you like (additional salt, pepper, hot sauce, whatever) and serve it up with your favorite rice. If it appears a little watery, it will thicken as it cools. Or, you can use an immersion blender like I did to blend up a small amount which will also thicken the soup. Add your favorite garnishes and may I recommend my Country Vegan Cornbread recipe as a side dish? It goes exceptionally well with a big ole bowl of beans. That’s it for this week, thanks always for your kind comments and support, and we’ll see you back here next week for another brand new recipe. As always look for the recipe video on YouTube and oh that reminds me… One commenter called me the Vegan Food Wishes of YouTube. I kind of like that! 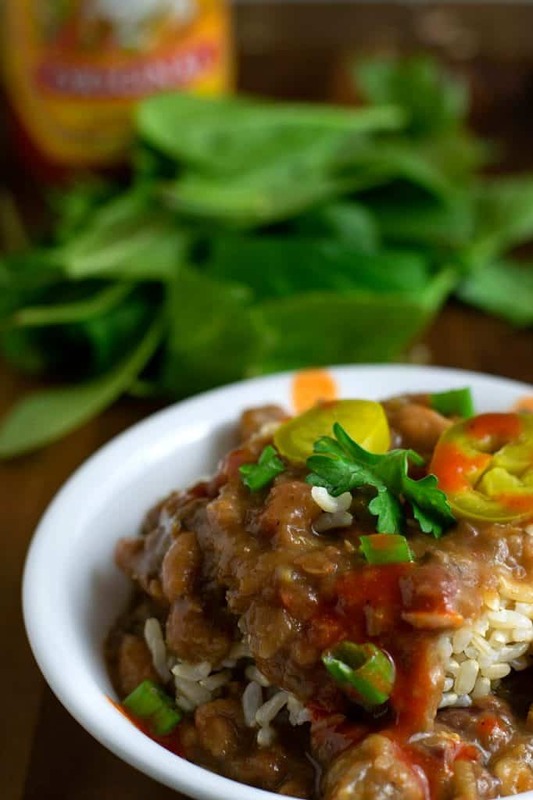 With the big game coming this weekend, and Mardi Gras not too far after, I knew I’d have to make this Louisiana favorite… Cajun 15 Beans and Rice. Remove beans and separate spice packet. Rinse beans and allow to soak in cold water if desired while prepping the veggies. Add 2 Tbs water or veg broth and press SAUTE. Stir often. This recipe looks delicious. What could be used instead of the spice packet? The beans will need Salt for sure. Maybe some pepper. I’d also make sure you have enough Thyme and maybe a pinch of cayenne. It’ll kind of have to be a taste as you go, so when you take the lid off the first time to add the mushrooms, taste and adjust. 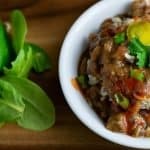 Enjoy your recipes and looking forward to trying this variation. Who knew eating vegetarian could be so delicious! If I chop the mushrooms very finely, will they “dissolve” in the beans? Some of my family don’t like mushrooms, but they’ve eaten food flavored with mushrooms, so I think it’s the texture they don’t care for. Thanks! I’d add them along with the veggies in the beginning then. And yes, chop then pretty fine. Or just leave them out. Your choice. I don’t have an instant pot. How would you create this on the stovetop? Thanks! Same here, I don’t have an instant pot and would love to make this. 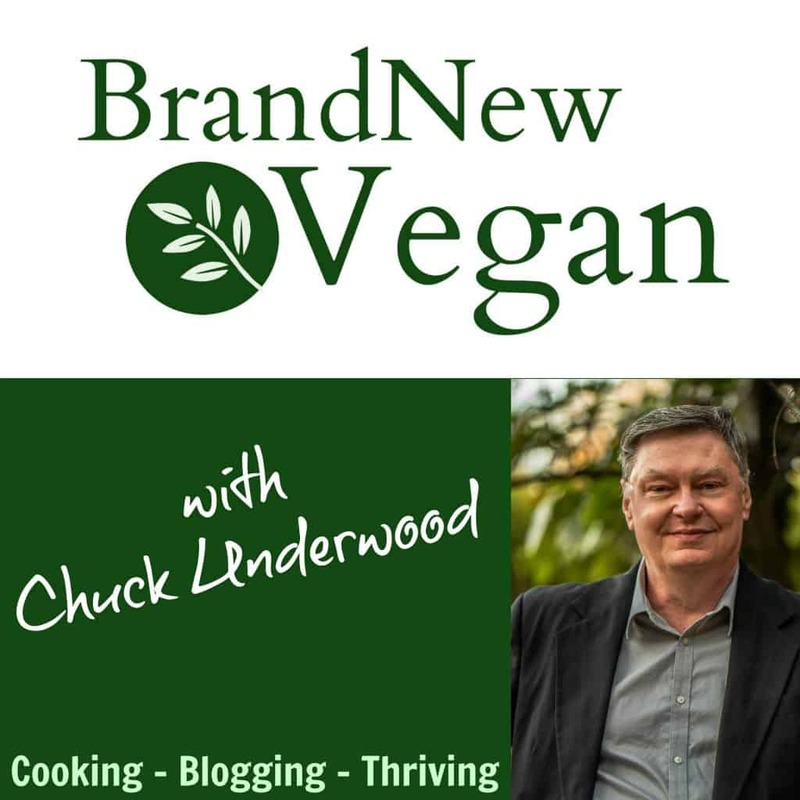 Then I would use a slow cooker….. I’d saute the veggies like in the recipe, then add everything to the slow cooker including the mushrooms and tomatoes. It may take a while as we’re not soaking the beans so check the beans often and add more liquid as necessary. I did make a couple changes. I did not use the packet which came with the beans. I replaced it with 1t liquid smoke and 1t Cajun seasoning. This is awesome and I will be putting it into my weekly rotation. Thank you Chuck.! Mmm, now I gotta go get some of these beans!